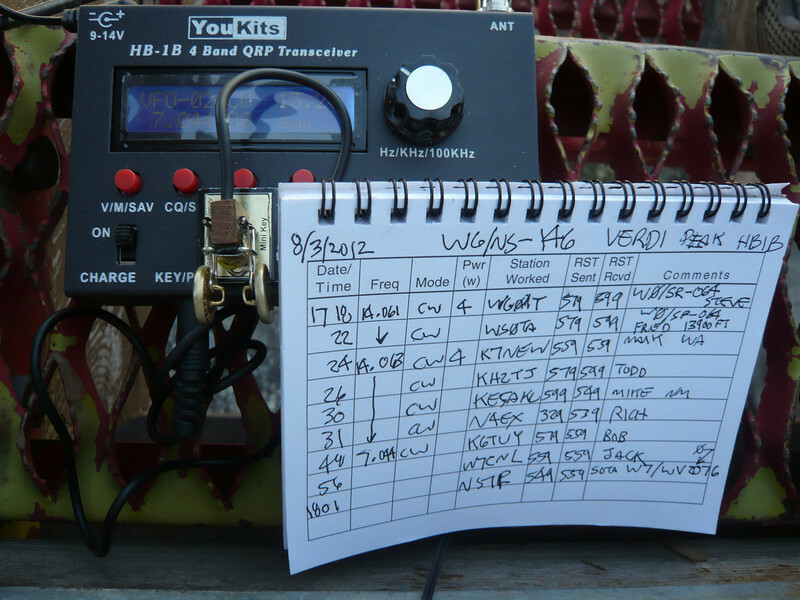 The logbook (just one page this time) and my HB-1B transceiver with BullDog Mini Key magnetically attached. I made a total of nine QSOs total including three summit-to-summit QSOs: Steve WG0AT, Fred WS0TA (a.k.a. KT5X) and Phil NS7P. Thank you to everyone who worked me!